Touch of Modern is currently running a deal on Montana Artisan Knives, handcrafted knives “guaranteed to please even those with the most discriminating taste.” The offer originally included eight of their signature blades, made from stainless steel and pakka wood. Yet, two of those eight have already sold out. And as I write this piece, another option has fewer than 10 remaining. The Hamilton Pocket Knife is a hand crafted single blade pocket knife, lovingly constructed of highest quality 440 Stainless Steel. This steel is known for its resistance to tarnishing and its scratch resistant qualities, resulting in a long lasting and quality knife, built to withstand the highest abuse while maintaining a a sharp honed edge. 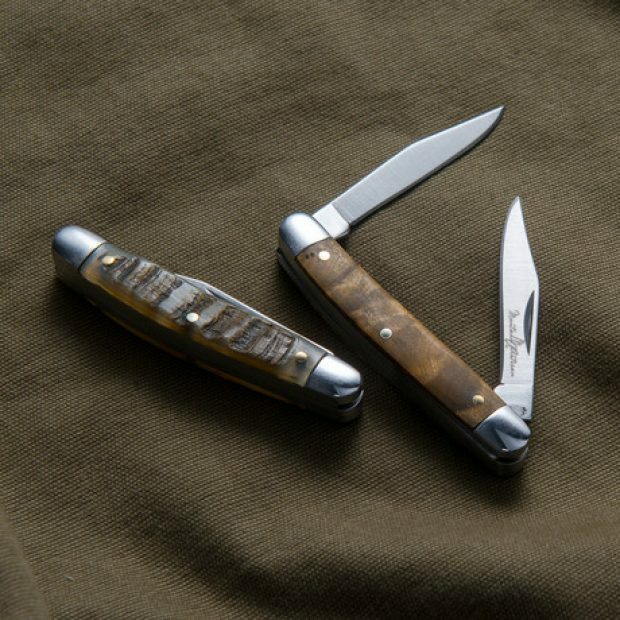 The Hamilton Pocket Knife is by far the Montana Artisan Collection’s most popular pocket knife. The “Pakkawood” handles are unique in that the color and wood grain go completely through the handle, making the knife resistant to scratches. This tiny little knife is the perfect quality for years of every day carry. 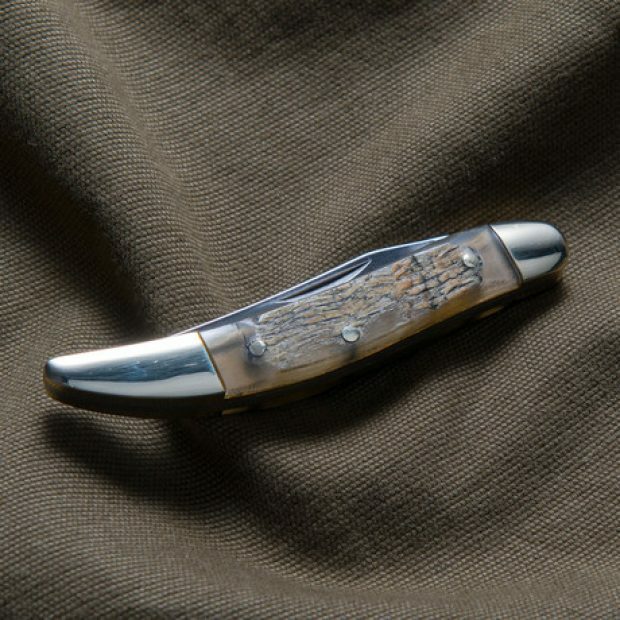 The Flathead Double Blade is the collections’s largest gentlemen’s pocket knife. The Flathead features 440 Stainless Steel Blades and a burl or horn handle. This larger high quality knife makes a large statement. The Darby Triple Blade is a handsome gentleman’s knife with the utility of three blades. 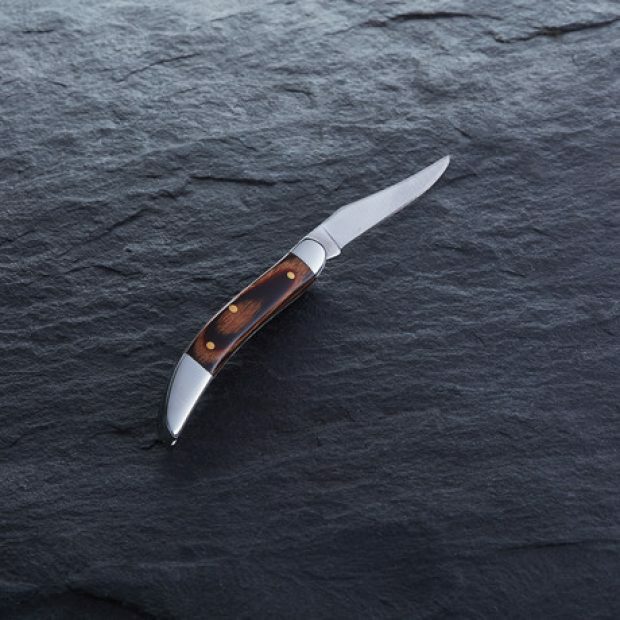 The hand crafted Darby Triple Blade features high quality 440 Stainless Steel blades and a handle in handsome horn. The Dillon Pocket Knife is a hand crafted single blade pocket knife, lovingly constructed of highest quality 440 Stainless Steel. This steel is known for its resistance to tarnishing and its scratch resistant qualities, resulting in a long lasting and quality knife, built to withstand the highest abuse while maintaining a a sharp honed edge. 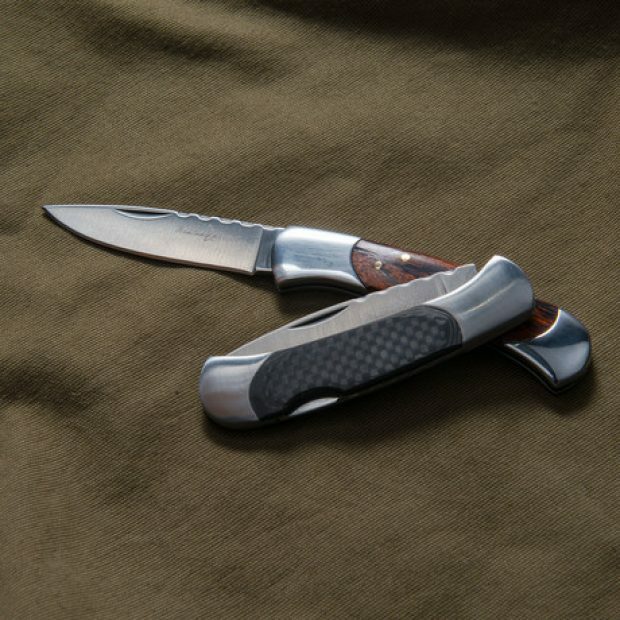 The gentle curve of the Dillon Pocket Knife’s horn handle makes this pocket knife both functional and distinctive. It’s a recent addition to line of high quality pocket knives at Montana Artisan. 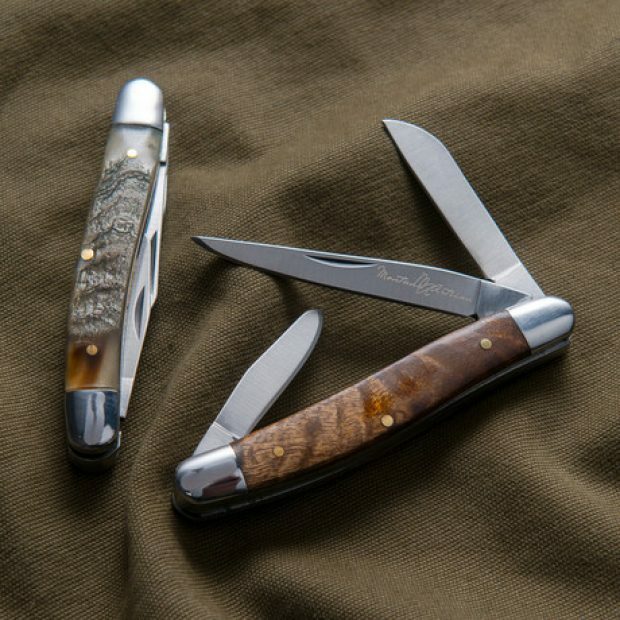 The Trapper Double Blade is the perfect discrete gentlemen’s pocket knife. 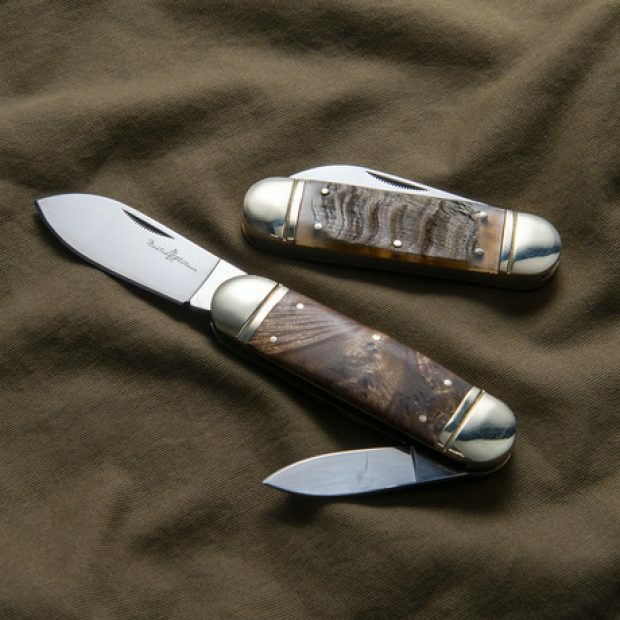 The hand crafted Trapper features 440 Stainless Steel Blades and a burl or horn handle. The Trapper is functional with its double blade design, while small enough to fit in any pocket. The knives here are selling out fast, especially the Darby which may not even still be available by the time you read this post. You better act fast. After all, you can never have too many knives.